– Save $1300 On 2 Custom Suits and/or Save $900 On 2 Custom Made Sport Jackets. 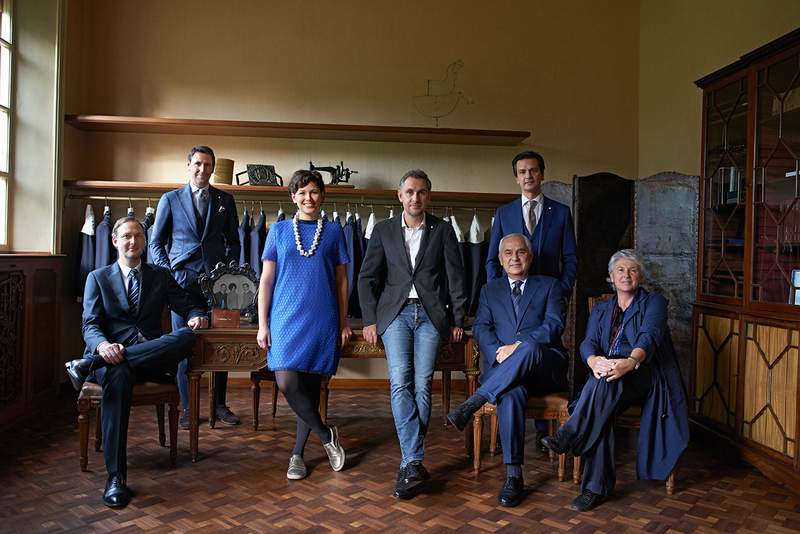 Fabric mills include: Loro Piana, Vitale Barberis Canonico, dormeuil. Just picked up my first custom suit expertly designed by Victor and I could not be more pleased with the results and can't wait to rock it out at my next events! He took care of every little detail that goes into making a suit a masterpiece. I would recommended Dash's and Victor's service to anyone! Victor Dash definitely knows what he is doing. He is very skilled and fashionable in helping you get what you need. Victor know's what he is talking about, which you'll be surprised that other 'bespoke/custom' clothiers don't. I have been a customer for the last five years..Today all my suits are from Dash's. There is nothing better than having a quality custom suit from Dash's- that will fit you like a glove. Give him a try and you'll know what I'm talking about once the suit arrives!! Luigi Bianchi Mantova collections, so rich in detail, are subject to constant stylist research. Perfect fit and impeccable cuts make each garment unique. Just picked up my first custom suit expertly designed by Victor and I could not be more pleased with the results and can’t wait to rock it out at my next events! He took care of every little detail that goes into making a suit a masterpiece. I would recommend Dash’s and Victor’s service to anyone! Victor Dash definitely knows what he is doing. He is very skilled and fashionable in helping you get what you need. Victor know’s what he is talking about, which you’ll be surprised that other ‘bespoke/custom’ clothiers don’t. I have been a customer for the last five years..Today all my suits are from Dash’s. There is nothing better than having a quality custom suit from Dash’s- that will fit you like a glove. Give him a try and you’ll know what I’m talking about once the suit arrives!! excellent service from a man who really knows his stuff. To avoid some of the sticker shock: Prices for his custom suits begin at about $1600, ties are at $100, dress shirts will be at about $200. Know that everything is top quality and will last for a long time to come. Victor Dash is an expert in the craft. He’s exceedingly patient and willing to explain and educate. After multiple trips to his store and conducting my own research, I decided to work with him to design the upper end of my wardrobe. I have been extremely impressed! I look forward to many more visits and to working with him in the future. The shop was really cute and had a lot of great pieces. My husband and I came across this little gem while in old town looking for the perfect tie to go with his suit for our up coming wedding. Excellent products and excellent service- those are the hallmarks of my experiences at Dash’s of Old Town. I’ve gotten a suit and a blazer here; my father has also gotten a blazer and some shirts. Mr. Dash’s love for his work and pride in his products is evident in all the interactions I’ve had with him over the last few years. (For example, I recall the gleam in his eyes last December when he showed me a three-piece suit he had designed with only two shades of grey fabric.) It’s clear to me that he knows his craft and cares deeply about helping his customers look sharp from the knowledge he shares and honest feedback he gives during fittings and subsequent visits – yes, Mr. Dash, I’ve taken care of those pleated pants, as per your request. You want to be in an expert’s care when getting a custom made suit; I can’t think of many who do it better than Mr. Dash. If you need a quality suit, I’d recommend Dash’s of Old Town. Victor was highly professional, and he sure knows his suits. He provided great advice on what type of suit and helped ensure a perfect fit. Easy to work with and very customer focused! For men who enjoy sartorial pursuits and the art of dressing like a gentleman, Dash’s of Old Town is a treasure in the land of sack suits. Tailored clothing is cut in Italian fashion, and while they have a variety of off-the-rack options, made-to-measure is their focus. The fabrics they use are beautiful, and the tailoring (done in Italy) is very high quality. Quality comes at a price; rack suits were around $1600-$1800, and MTM is only up from there. They also offer a variety of shirts and some very nice ties. The thing I loved most of all was that they were willing to spend time with me and answer lots of questions with no sales pressure at all, which makes me definitely want to come back. Victor knows his stuff and always goes above and beyond. Victor is not just a guy who makes great suits. He is someone I have come to call “friend”. He consistently makes me the best dressed guy in the office. Is always warm and kind. Let me start out by saying that Mr. Dash is the real deal. The man will make you look amazing to be certain, it does come at a cost. Prices are reasonable for what you get, which is top notch materials and workmanship. If you are looking for a cheap suit it’s not for you. But if you are looking for a clothier you can return to for years to come then Dash’s is it. You could just go to Dash’s and get an actual piece of master-crafted Italian finery custom-made to fit you perfectly. Is there really that much to think about?